Joshua Mack, 20, allegedly couldn't explain why a child left in his care died as his mother shopped. PEARLAND, TX (KTRK) -- A 20-year-old man has been charged after a baby died from extensive brain trauma and other injuries, according to doctors. Joshua Lomount Mack faces a charge of injury to a child after a months-long investigation by Pearland police. Detectives say a 15-month old baby was left in Mack's care as the child's mother shopped for groceries at the Kroger store on Shadow Creek Parkway near Highway 288. When the mother returned to the car, she found the baby crying with a soiled diaper. The mother left the child again to purchase baby wipes inside the store. Yet when the mom got back to the vehicle, she found the child unconscious with blood running from the baby's nose and mouth. Porucha Phillips, 34, was charged with two counts of injury to a child by omission. 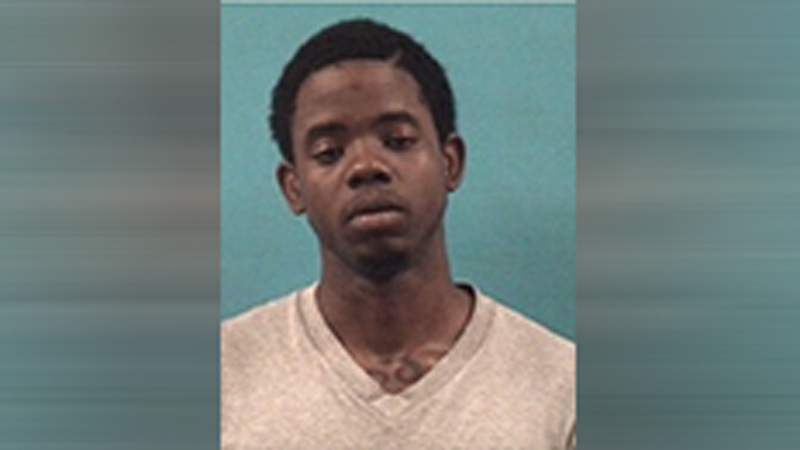 Investigators say Mack claimed he tried to get the baby to take a pacifier, but didn't have an explanation for the bleeding. The baby was taken by Life Flight to Texas Children's Hospital where the baby died. Doctors say the child known as KW had severe brain trauma, bruised lungs and a lacerated liver. A judge set Mack's bond at $200,000. If convicted, he faces five to 99 years in prison and a $10,000 fine.